A special 22-minute documentary called “The Walking Dead: A Decade of Dead" is now up and available for you to watch for free online. 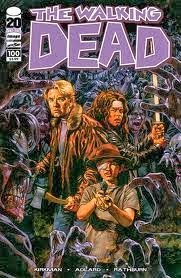 It takes a look at the last ten years from the start of the hugely successful independent comic “The Walking Dead” all the way up to the television show’s fourth season and its production. We have the video here for you to check out.